With the media coverage of security breaches, some people are confused about privacy, the cloud and what it means when sensitive data is stored in the cloud. By carefully evaluating any solution you choose to store your data in, you will be taking steps to safeguard your data. Using certain techniques, you can protect your data from hackers and identity thieves. While the information below is meant for businesses storing sensitive data, the same advice can be applied to any individual storing and sharing confidential information in the cloud. Secured sockets layer (SSL) is a form of encryption used to pass sensitive data from your web browser to a web server. When you order product, submit private details, or enter payment details, always look for “https” in the browser’s address bar to ensure that the site is using SSL. SSL is the standard for passing sensitive data to a web server, and SSL is a part of security audits for online companies. Every website that asks for private data should incorporate SSL on the web server. If the web server does not have SSL, you should not enter private data and find another provider. You have several cloud providers available, but not all cloud providers are created equal. Before you choose a cloud provider, do your research and make sure the provider has support and security. 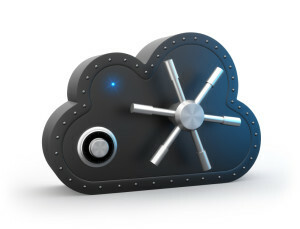 The cloud provider must offer security to protect your data. A reputable cloud provider will have technical support and monitoring every hour of the day for seven days a week. Take references and look at their security procedures to ensure they are taking precautions to safeguard your business'sdata. For extremely sensitive data, you should encrypt it while at rest. The advantage of encrypting stored data is that the data is useless to hackers if they manage to break the cloud host’s security. Choose a cloud storage provider that has two-factor authentication- and be sure you and your employees turn it on. Two-factor authentication requires a second form of identity verification, most often a text code sent to a cell phone, before access is granted. With two-factor authentication active, even if passwords are compromised, access to your information will be denied. Often, you will need to share these critical business documents with other users. When considering sharing information, be sure you understand your chosen provider's different levels of permissions and access. This is extremely important and will ensure only intended recipients can view the data. When vetting solutions to store your data, verify that they offer the level of permissions you need to control access to your data. Cloud storage is a safe and convenient way to maintain corporate archives. Before you choose a provider, do your research and understand how cloud security works to avoid being a victim a cybersecurity breach or even an unitentional breach caused by accidental sharing. A data room is a popular way to store critical business documents with absolute security and controlled sharing. Doing research and taking the proper precautions can go a long way in protecting your sensitive information.